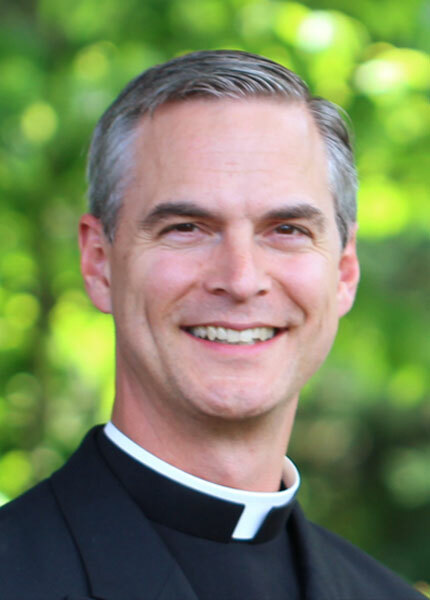 Dear Father John, While I agree in consistency in spiritual direction, I would like to hear your “take” on spiritual direction and its connections to Confession. I do have a spiritual director I see once a month, but a confessor I see weekly. There are aspects of reconciliation that are spiritual direction, and I’ve shared some of those with my SD, who is also a priest, but since I strongly desire Reconciliation weekly and my confessor is diocesan, local, and extremely busy, I do not feel comfortable asking for more than 10 min. of his time per week, while my SD can usually give me an hour, but is too far away to meet weekly. Your thoughts? What you describe sounds like an excellent combination: A short confession weekly, and a long spiritual direction monthly. As you mention, the exchange between priest and penitent that happens during confession can sometimes overlap, as regards specific spiritual issues/questions, with the content of the conversation that occurs in spiritual direction. This depends on the confessor, and how much spiritual advice he feels comfortable giving during confession. In fact, in past centuries it was common practice, especially for members of religious congregations, to have one priest to go to for confession on a regular basis. This person was your “confessor.” And this relationship, though it unfolded within the sacrament, took on many characteristics of what we now describe as spiritual direction. In some places and contexts, I am sure this is still the case. On the other hand, the nature of the exchange that happens in confession is not intrinsically the same as what happens in spiritual direction. Confession is primarily about our sins, faults, and imperfections. We bring those to the Lord in a spirit of contrition and repentance, in order to receive his forgiveness and renewed spiritual strength to continue our journey of faith. Confession has a sacramental grace (the forgiveness and the strength) that spiritual direction doesn’t have. Spiritual direction, in contrast, is primarily a conversation about what God is doing in my life – what he is asking of me, what he is giving me – and how I am responding. Much of the conversation that occurs in spiritual direction is focused around discerning God’s will, as well as discerning what factors are affecting my response to God’s will. A wise confessor can often detect and comment on those types of issues in the context of a confession. And when that happens, it can be very useful to do what you describe: mention in your next spiritual direction the advice or comments from confession that really resonated with you. So, to sum up, the nature of confession differs from the nature of spiritual direction in their essential characteristics, but they can and often do overlap. In fact, sometimes finding a good confessor can be a way to identify a good spiritual director. I hope this helps. Art for this post on Spiritual Direction and Confession: Signaletics for Confession [Lourdes Sign for Confession], photographer Jean-noël Lafargue, August 9th, 2005, Free Art License; Confession of Bern Cathedral, Bernardine Cathedral In Lviv Church Of Saint Andrew, Vodnik, January 2007, CCA-SA 3.0 Unported; both Wikimedia Commons.